Looking for Best IVF centre in Chennai? Is there really a way to find out top IVF clinics in Chennai? Truly, there is no clear-cut way for IVF (In-vitro Fertilization) is a very person specific treatment. IVF success depends on your personal medical parameters and mind preparation apart from good services of IVF clinics. However, choosing the right IVF centre is extremely critical to the success of IVF and it is also one the most daunting tasks. So, to help you in this crucial decision, we took upon this task of collating the top IVF clinics in Chennai by setting fixed parameters and then enquiring, researching, even calling and being there as a mystery patient. Feedback, rating, and review of IVF clinics in Chennai were asked through social media platforms. Months of research went into by our content team before this article was published. Lakshmi Padmanaban, our content writer from Chennai personally called each IVF clinic and dug deep into each. Do they have an in-house endocrinologist? How approachable is the doctor? Disclaimer: We do not have any kind of collaboration with the hospitals and this not a promotional piece. We recommend that you use your own reference, research and gut before deicing on the best IVF clinic in Chennai. We genuinely wanted to help the couples to get better IVF treatment and we will put forward your own experiences and opinions along with the facts for you to choose and decide. Dr Samundi Sankari is the chief doctor of Srushti Fertility Centre. She has over 35 years of experience in the field of fertility. The facility seems to be expensive from what I could gather from the conversation with the staff working. The staff I spoke to was very pleasant and well informed. When I asked him questions about infertility, he explained the processes clearly and even spoke about the types of fertility: primary fertility and secondary fertility. He spoke about how the test will be conducted and mentioned that all the facilities for testing are present. When asked about the IVF success rate, he said that for women below 30 years, the success rate is around 73% while for women higher than 30 years, the pregnancy success rate is around 63%. My experience with Srushti Fertility Centre was pleasant and informing. When I called the Indigo Womens Centre, the person who spoke with me was very helpful. Unlike many clinics that started asking me for my name and other contact details to file and follow up, he patiently explained to me about the procedures they follow. In the beginning, a gynecologist will record the history before seeing the main doctor, Dr Sarat Battina. After consulting Dr Battina, the other tests will be taken. They have their own embryology labs, operation rooms with laparoscopic systems. Dr Battina has around 35 years of experience and he was the Head of IVF programs in Apollo Hospitals and has started his own clinic now. He was also the first doctor to deliver IVF twins in South India. It is easier to get an appointment but it would ideally take half a day in the clinic for the whole process. Overall, the clinic gave an impression of friendliness and care for their patients. 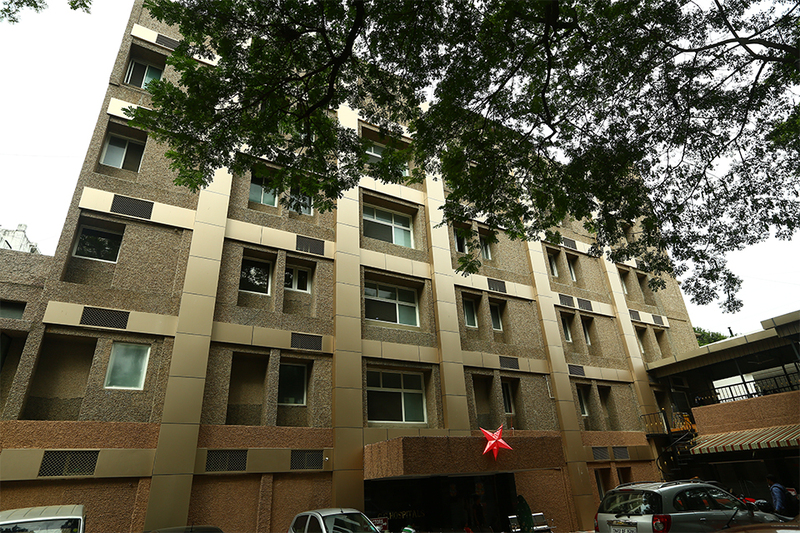 Sri Ramachandra hospital is one of the leading hospitals in Chennai. When I contacted Sri Ramachandra Hospital for details about IVF procedures in their hospital, I was put through three extensions in which two of the staffs never spoke a single word. When I asked them the question they directly patched me through to some other extension. After finally going through three people, the last person who spoke to me was unpleasant. When I told that I have had unfortunate situations before with clinics and wanted to know their success rates and about the working of the doctors, the only answer I got was, ‘Come here tomorrow morning.’ I got the same answer even when I told her that I can’t come blindly without knowing anything and then she just said a random number of 70% to 75% when I asked her again. Usually, when I speak worried, the staff of other IVF centres tried to assure me that the doctor was the best and so on, but here I was told that she cannot say anything unless I consult the doctor. Dr Sanjeeva Reddy is the main doctor for this department. I would say that my experience with this particular hospital was not good. They don’t seem to be compassionate and open. The main doctor, Dr Geetha Haripriya, is found to be present more in Chetpet clinic than in the Velachery clinic. The process for a new client was to register, meet an assistant doctor and get reports on your history, conduct tests necessary and then, in the end, you will be able to meet Dr Geetha. The staff was open to say that you will need to spend a lot of time here and it seems like the doctor will see patients in between her operations and procedures and so it looked like there will be more waiting time. The staff was not ready to reveal the data regarding success rate and the services looked a bit expensive. One of InfertilityDost reader told that she got an appointment with Dr Geetha at 1 AM in the night. She was asked to undergo HSG tests then and there and it was done without anesthesia and any compassion. Dr Thankam Rama Varma is a renowned and experienced doctor who is specialized in reproductive medicines and high-risk pregnancies. She is the Medical Director of Reproductive Medicine who was more than 40 years of experience. She is one of the few doctors who is held in high regard by their patients and peers. Because of her popularity, it may be a little difficult to meet her but she is said to provide the best results. Unfortunately, I tried reaching the hospital multiple times but my line was cut when I told that I need to ask details about services by Dr Thankam Rama Varma which was a little weird. Jananam Fertility Centre is headed by Dr Vani Sundarapandian who has over 20 years of experience in IVF treatments. The information given by the clinic was that, once you reach the hospital, you will have to go through an assistant doctor to Dr Vani who will collect the reports and history. And once after seeing Dr Vani, tests will be conducted for which the clinic has all the facilities. The appointment has to be taken a day earlier. From what I could gather, the staff I spoke to was not diplomatic and was calling me ‘akka’, referring to sister in Tamil. It looks like the staff holds Dr Vani in high regard. Though she was not able to tell me the exact success rate, she told that most of the patients who come to the clinic have conceived. When asked about the cost of IVF procedures, she said that it will start around Rs. 1,60,000 and increase depending on the history of the patient. Overall, it was an average experience. Dr Kamala Selvaraj is said to be one of the top IVF doctors in Chennai. When I contacted her hospital, GG Fertility Hospital, regarding details for a new patient, the staff I spoke to was friendly but made it clear that one need to wait for long hours and told me to come ready for being there the whole day. Dr Kamala Selavaraj and Dr Priya Selavaraj are the main doctors there. I was told that the person coming there has to be ready to see either of the doctors and should not be particular about seeing one of them. The process starts with meeting assistant doctors taking history, undertaking tests and waiting for long hours to see either of the main doctors. From the feedbacks obtained from the patients, it seemed like the main doctors are not approachable, barely speak for a minute and give a uniform treatment to all the patients. As per the feedback from InfertilityDost community member, Dr Kamala has a huge name and fan following owing to her family background. However, the wait lines are too long at her centre. Ultrasound rooms are small and toilets not that clean. It is the junior doctor with whom you get to interact the most while the senior doctor will hardly meet for 2 minutes. The reason I picked Iswarya Fertility Centre was because I read online that they have some unlimited IVF treatment plans till one gets pregnant. I was curious about it and since the budget is a crucial deciding factor for many couples, I wanted to get more details. When I called them asking about the unlimited plan, the staff was completely clueless. I insisted about advertisement on their website (you can still see the plan here), they passed me around asking here and there when finally one confirmed that there is and never was such a plan at the centre. Looked like a marketing gimmickery to me. And then, I did some basic inquiries and was told that their success rate was around 70% and I can see the doctors easily when I visit the centre. I am not sure if I can believe this pregnancy success rate. Having a plan on the website which was not practiced at all seems shocking and made me search about them more on the internet where I saw a Google review of a lady who called the centre ‘money minded’ and gave a bad review in 2 lines. The reply from the hospital was for 5 paragraphs and unprofessional which spoke about the problem the lady has, the sexual problem of the husband and even said that the lady was stressed because her husband has sexual problems and that was why she was taking the stress out and calling them ‘money-minded’. It was unethical of them to reveal the patient’s details and treat them in such a manner and it further added to a bad image of the hospital that I had. 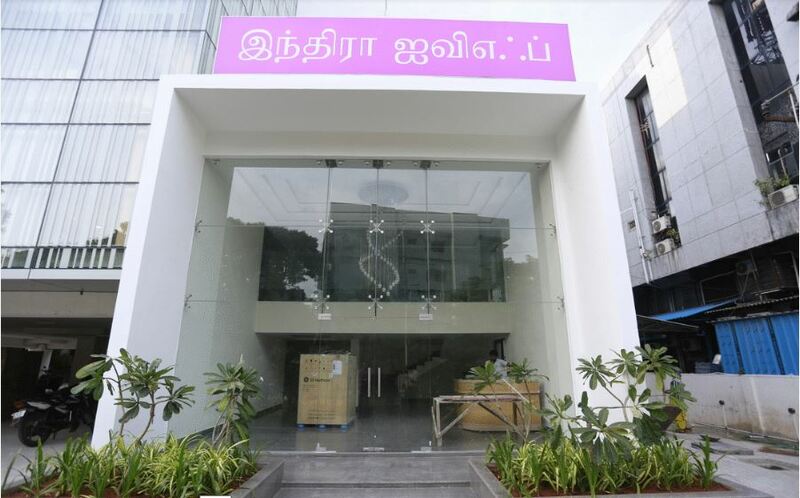 Located in Madipakkam and Nanganallur, this IVF clinic in Chennai seems to be of affordable budget. The staff I spoke to was polite and when I told that I need more details about the hospitals and the percentage of success they can assure, she even tried to connect me with a junior doctor, but unfortunately, he was with a patient. Dr Vasundra Thiyagarajan is the chief doctor here and when I enquired around, I got the impression that the services were average. The services from this centre seem to be pretty affordable. The staff was friendly and told me the basic outline of tests but was more concentrated on collecting my details including the exact nature of the problem, about period cycles and the last doctors I have seen. It felt like the questions were asked more from their side for collecting information and lesser answers to help the patients. Also, when asked about the average cost of IVF treatments, I wasn’t able to get a straight reply. Overall, I would say that the experience did not allow me to see the reality. With so many options available, are you confused about which doctor to choose? Read the practical guide to choose the right fertility doctor. Dr Dakshayani is a gynecologist and a fertility specialist and has experience of over 20 years. She is currently leading the team at Apollo Fertility Clinic. Apollo Fertility Centre is one of the famous IVF hospitals in Chennai. When I spoke to the staff regarding the approach and the services provided, they spoke about the technical aspects explaining the fertility process but was not much aware when I wanted to know the details of the centre and services. They got my contact details and said that I will get a callback, which I haven’t. I conducted some research on my own and found that many people are satisfied with the service and happy with Dr Dakshayani’s approach. Nova IVI Fertility Centre is one of the leading fertility centres in India. So I was pretty much expecting a good response from them. But what I did not expect was that the call was not picked at all. An automated message repeatedly said, ‘Your call is important to us’, while I held the line for 19 minutes and the second time I waited for 12 minutes before giving up. Generally, some centres called me back when they did not pick the call. But I haven’t received any calls from them, so it kind of speaks of the importance given to the patients. Dr Aruna Ashok, Dr Krithika Devi, Dr Madhupriya and Dr Erika Patel are the consulting doctors here. InfertilityDost members who have availed service of NOVA did appreciate the doctors being compassionate and friendly. They follow ethical practices and all high-end services are available at their IVF centre in Chennai. Dr G. Buvaneswari is a fertility specialist and a laparoscopic surgeon and has 15 years of experience in infertility treatments. She has given lots of interviews in Tamil televisions. GBR clinics are present in Mogaippar and OMR where Dr Buvaneswari visits regularly. The person I spoke to at the clinic was well aware of the details and he said that the doctor was quite accessible. And the success rate was told as around 82% which is pretty high if accurate. ARC Fertility Centre is one of the biggest fertility IVF centres in Chennai with branches in 4 places: Chetpet, Egmore, Perambur and Perungudi. It has all the necessary facilities needed for IVF treatments. Dr Mahalakshmi Saravannan and Dr Sarvannan Lakshmanan are the founders of ARC centres which are spread all over Tamil Nadu. All the branches have their own chief doctors. A patient can go to the branches nearby and get consultations from the chief doctors. If they wanted to see the founders for consultation, they will have to go through the chief doctors. The founders will visit each branch once a week. The cost of the IVF procedures will be around Rs. 1,70,000 and sometimes could increase depending on the complexity of the conditions. The staff was polite and it was a good experience with them, but the main doctors did not seem to be approachable as they have 10 centres in Tamil Nadu. In Aakash Fertility Centre, the main doctor for IVF is Dr Jeyarani Kamaraj. She is an obstetrician and gynaecologist consultant in reproductive medicine. The services seem to be affordable. When I called to inquire, the staff was very friendly. When I told her that I am not convinced, she reassured that she had been working for a long time and most of the cases she had seen were successes. Also, I was told that all the necessary equipments and facilities are present in the centre itself. My experience with Aakash Fertility Centre was along the lines of average and satisfactory. We hope that our list of leading IVF clinics in Chennai and best IVF doctors from Chennai are useful to you. We have given our honest opinion and the impression of the IVF clinics and doctors. Take time, research well and chose the right IVF clinic in Chennai and more importantly the IVF doctor. A lot depends on the doctor to guide you towards a successful pregnancy. If you wish to add or leave your feedback please comment or write to us if you wish to stay anonymous. Adoption Myths: Questions Answered, Myths BustedIUI Treatment: What Exactly is IUI?